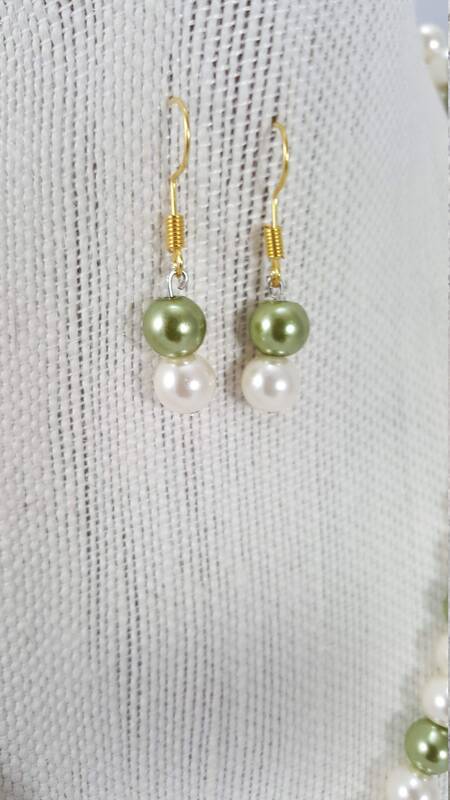 Handcrafted 17 premium sage green and white glass pearl beaded necklace with matching earnings with fish hooks for pierced ears. 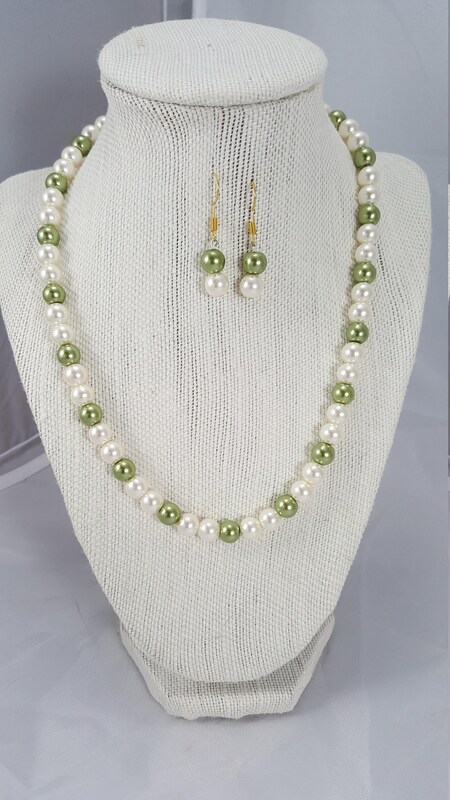 Handcrafted 17" premium sage green and white glass pearl beaded necklace with matching earnings with fish hooks for pierced ears. 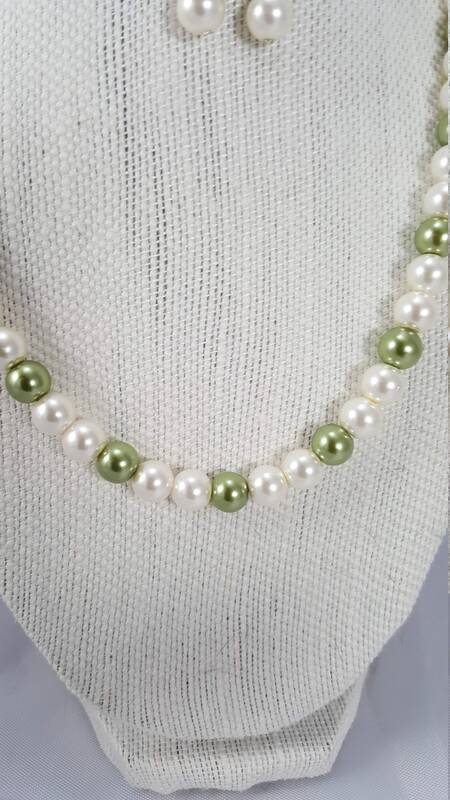 Handcrafted 17" premium sage green and white glass pearl beaded necklace with matching sage green and white pearl earnings with fish hooks for pierced ears. 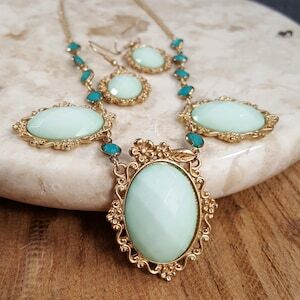 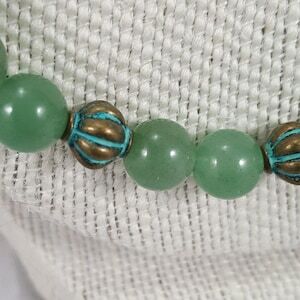 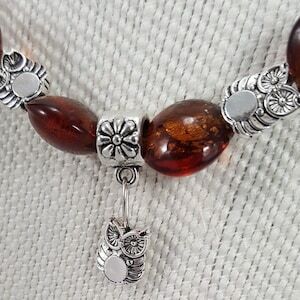 Elegant, great for any dressed up affair or can be worn everyday. 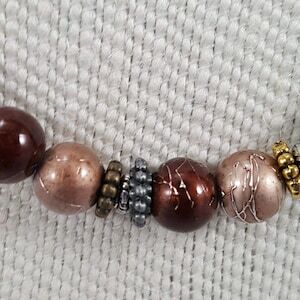 18" Premium beads with gold thread, surrounded with metallic multicolored beads with a matching stretch bracelet and earrings.